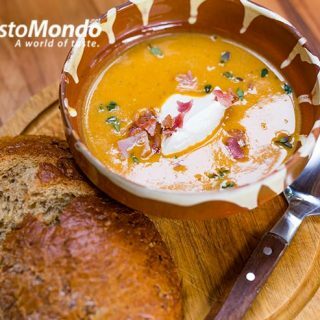 SOUPS & BROTHS Archives - Gustomondo - There's a world of taste out there. Roasted butternut squash soup with crispy bacon. Video recipe included. Romanian courgette soup (broth). Marrow can also be used. A 257 years old recipe that never went away. Julienne soup. Healthiest cream of mushroom soup with girolles a simple recipe. Romanian beef broth. Savoury rich beef and vegetables soup.